Desire a sporty coupe that also comes with a luxurious touch? Then the new edition of the Q60 from INFINITI is the perfect option for you! The INFINITI Q60 is a performance-driven car you can show off proudly to the world. With a gorgeous exterior matched by a luxurious interior, the Q60 is like a piece of art that rises above the competition with style and grace! 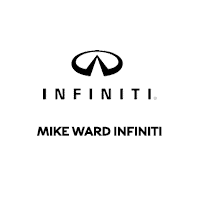 For the PURE and the LUXE editions of the INFINITI Q60, you get a powerful 3.0L V6 engine that is also fueled with additional twin-turbo injection. This helpful extra addition to the engine helps the Q60 reach an impressive 300 horsepower! In the RED SPORT 400 version of the Q60, the engine has been further tuned to squeeze every bit of performance out of it, achieving an astounding 400 horsepower! The fuel economy of the PURE and the LUXE are estimated at an impressive 19 MPG city / 28 MPG highway, with their AWD counterparts get 27 MPG highway instead. The RED SPORT 400 trim gets 20 MPG city / 27 MPG highway on the base and 19 MPG city / 26 MPG highway on the AWD version. The Q60 would not be the all-around fantastic car it is without the intricate attention to detail featured through the bodywork and the interior design features. In all versions of the Q60, you will immediately stand out from the crowd thanks to the sleek curves and beautiful detailing of the exterior. All trims are also standard with the innovative and functional InTouch™ dual screen multimedia system, designed by INFINITI to give you easily available information and entertainment at your fingertips! The LUXE trim goes further with the entertainment enhancements thanks to the incredible 13-speaker sound system by Bose®! The LUXE and the RED SPORT 400 also come with a power-sliding moonroof, giving you fantastic sky views day and night. The new INFINITI Q60 is a reliably safe vehicle, offering state-of-the-art technology to give the driver exceptional control in treacherous road and weather conditions. With the Advanced Vehicle Dynamic Control system found on all models, the Q60 will work with the driver to ensure proper power and handling is provided where they are needed most. Four-wheel anti-lock braking with Electronic Brake Force Distribution is another innovative feature found on all trims, giving you unparalleled stopping power for a variety of conditions! The LUXE and the RED SPORT 400 add to the safety package with fantastic Forward Emergency Braking and Predictive Forward Collision Warning. These two features work together to alert the driver of potential accidents in front of them, as well as automatically applying the brakes if the driver does not react in time.